Having a child is a wonderful, life-changing event that will bring you so much happiness. But, having a baby can get really expensive! According to the USDA, parents spend an average of $12,000 on their child in the first year alone! And according to a 2012 study by USDA parents with kids born after 2011 will spend an average of $234,900 to raise their kids to the age of 17-19. There are baby gear and furniture, from the crib to the stroller that needs to be bought. Then, there’s toys, clothing, baby monitors, bottles, formula – the list goes on! All of these things can add up, and if you’re not careful, you could end up in a difficult position financially. To help you save a little money, we’ve put together a list of money-saving tips for new parents. 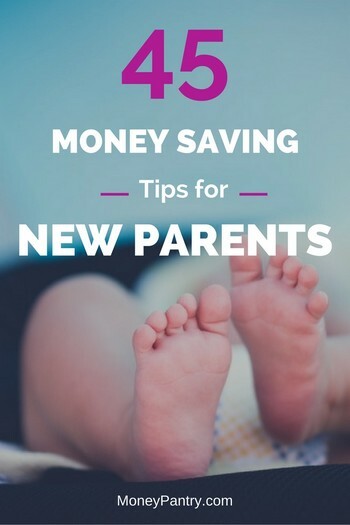 These tips are simple, but they’re really effective, and if you follow them, you can make sure that having a new baby doesn’t put too much financial strain on you. Please feel free to click on any of these links to go directly to your desired section. As a new parent, one of the things that’s going to help your finances the most is simply following basic money management tips. Of course, when you’re childless, if you and your partner overspend one week, then it’s not too big of a deal – as long as you’re not doing that regularly, of course! But, when you have a child, you have to be much more careful with managing your money. Creating a budget is absolutely paramount. New parents are enthusiastic about buying baby stuff – but sometimes they’re too enthusiastic! If you want to prevent overspending and make sure that you have everything that your baby needs, while keeping on top of your household bills and expenses, then you need to come up with a budget. It’s best to keep it realistic. Your budget should reflect your new family lifestyle. But, don’t restrict yourself too much – give yourself a bit of leeway. If your budget is flexible and not too restrictive, then you’re much more likely to stick with it. Don’t worry if you struggle to stick to your budget at first. It can often take months to create a budget that suits your new family. Just don’t give up. Instead, adjust your budget until you come up with one that fits your family’s needs. Having a budget lets you know exactly where the money will come from when you come to buy stuff for your child. And, when you have a detailed budget in place, you prevent yourself from overspending. Tracking your expenses is also incredibly important. You’ll want to perform a cash flow analysis that breaks down your income, your monthly bills, recreational spending, monthly savings, and any other fixed or variable expenses. When you track what you spend, it enables you to see where the majority of your money is going. To make the process painless and easy, you can use free tools such as BudgetTracker. Ideally, you want to start cutting costs and saving up the moment you and your partner find out that you are expecting. You need to start saving for costs, like the hospital delivery bills, and for any unpaid leave that you might need to take off work. If possible, create a small baby savings fund, where you set aside money for one-off purchases, like a crib or a stroller. And, if your baby has already arrived and you haven’t started saving yet, then don’t worry – just start budgeting and saving as soon as you can. And if you want to take it one step further, you can definitely open a savings account for your baby so you can start saving for their future right away. For some families, having one parent stay at home is what works best – after all, childcare costs can be astronomical, and staying at home can make more sense financially. But, for others, staying at home isn’t the right decision financially – and many people don’t want to give up their career. So, you and your partner really need to decide early on whether one of you plans to stay at home indefinitely with the baby or if you’ll both go back to work, and pay for childcare when maternity and paternity leave is over. Once, you make a decision, you then need to adjust your budget and savings accordingly. If one parent decides to be a stay at home parent, then you’ll need to make sure you can afford to live on one income – and cut back on certain expenses. If you both plan to return to work then you need to know what childcare is going to cost you each month. To get an idea of how much childcare in your area will cost, use this childcare costs calculator. When you’re a new parent there’s not only the one-off costs, like the stroller or the crib, but there are the everyday items, like diapers, lotion, baby shampoo and wipes to consider. And, it’s these that can really add up each month and drain your bank account. So, if you want to make room for these costs in your monthly budget, then you’ll need to cut back on other, more recreational expenses, like your cable subscription and your phone bill. With Netflix and the Internet, there’s really no reason to spend $99 plus dollars each month on cable TV. In fact, you can watch TV for less than $15 per month or even for free. We have an article on cheap alternatives to cable TV, so check it out, and save yourself more than $1000 a year! Another place where you should cut back is on your cell phone bill. The average phone bill from one of the big carriers is more than $4000 per year! We have a post on the cheapest cell phone plans out there (one of them is even free! ), so take a look and consider switching to a cheaper plan. If there’s something that you can do yourself, then don’t pay a professional to do it for you. For example, make a birthday cake for your child, rather than buying one, take your own first birthday photos, rather than paying a photographer, and paint the nursery yourself, rather than paying a decorator. One of the biggest and often most frustrating expenses for new parents is the cost of clothing. Babies grow so fast that something you bought just a week ago no longer fits, and you end up feeling like you wasted your money. Here’s what you should be doing if you want to save money on baby clothing. You might think that stocking up on your baby’s winter wardrobe in the spring will save you a bit of time and hassle later – after all being prepared and organized is key as a parent. But, when you buy baby clothes too far in advance you can actually end up wasting cash. You might find that when winter does finally come around, your baby has had a huge growth spurt and actually doesn’t fit into any of the clothes that you thought they would back in spring when you originally bought them. If you plan to have more than one child, then you really should consider opting for some gender neutral clothing. Opt for unisex shades and styles. Doing that makes it much easier for you to reuse your child’s wardrobe! After all, dressing your next child in hand-me-downs will save you so much money! Don’t think that you have to spend a lot on your baby’s whole wardrobe. There is one area where you can economize a bit – the staples, like all-in-ones, undershirts, and socks. These types of items aren’t really seen, so do you really need to spend lots of money on them? You don’t need to buy an undershirt from a big brand and pay tons of money for it! You mostly layer staple items under other clothes, so they’re not really seen. As long as they’re comfortable and fit well, there’s really no need to spend too much on them. At the thrift store you can often find some really cute pieces for infants – but at a much lower price than you would find them elsewhere. Usually, these items have only been lightly worn, so after a quick go through the washer, they’re as good as new! Shopping at the thrift store is a particularly good idea if you need to buy clothes, like a fancy dress or a suit for a special occasion, as chances are those items will only be worn once or twice. Yes, baby shoes are incredibly cute, but are they necessary? Babies grow out of shoes incredibly quickly. It’s very easy to spend $100s on baby shoes very quickly. As babies can’t walk, there’s really no need for them to wear real shoes. A pair of soft booties is all you need. Babies learn to walk best when they’re indoors with no shoes on anyway. Babies grow so quickly that the cute little newborn outfits you purchased for them will no longer fit after just a few weeks. That’s why purchasing clothes in the next size up is such a good idea. It gives your baby room to grow into the clothing and stops them from growing out of it too quickly. Plus, it’s not a big deal to purchase stuff that’s a bit too big for your child – after all a shirt that’s too big can easily function as a dress while your baby grows into it. If you plan on nursing, then you might be tempted to buy a breastfeeding wardrobe – but it’s a huge waste of money! Zip-up hoodies, a shirt with buttons and loose tank tops can do the job just as well as breast-feeding tops can. So, don’t rush out to buy a breastfeeding wardrobe. Give regular clothes a try first. You’ll be surprised how much your new addition can eat and the impact that it has on your budget. It’s reported that parents spend between $1,138.5 and $1,188.00 on formula in just one year! Here’s what you can do to cut the cost of feeding your little one. If you can, then you should really consider breastfeeding your child. It can save you more than $1000 in the first year on formula. Many hospitals and organizations out there offer breastfeeding advice to new mothers too. And you’d be happy to know that The American Academy of Pediatrics actually recommends breastfeeding over formula feeding. Don’t stock up on too many bottles from the same brand – your baby might not like them. Some babies just won’t take to certain bottles. So, just buy one or two and then try them out first. If your baby likes the bottle, then you can always buy more of them later. Not all women are able to breastfeed, and even if you do breastfeed, usually after the first six months to a year, your baby will switch over to formula. So, you will have to factor it into your budget at some point – and when you do, a great way to cut the cost of it is to ask for free samples from the doctor. Each time you visit the doctor’s office, ask them if they have any formula samples to try. Often, they have samples from product reps that they’re supposed to give out, but often, the staff members are busy and they might forget. So, just ask! It’s a good way to get some free formula. Did you know that by law all formula must meet the same quality and nutrition standards? Really! This means that generic formula is just as good as those from big brand names, but it’s much cheaper. You should definitely consider buying generic formula. As new parents, it’s not just your baby’s food that you need to consider, but also your own. When you first have a baby, you’ll be tired and exhausted – and often, this leads to rather disorganized shopping trips that result in over-spending. That’s why you need to plan your meals. Create a meal plan for the week. Keep it simple and don’t restrict yourself too much. Then, shop ahead of time. Stop yourself from buying stuff you don’t need. Make sure that you have enough food in for the week. Prevent yourself from ordering take-out. As a new parent, you’ll be kept pretty busy. And, some days the last thing that you’ll feel like doing is cooking! But, that’s where the temptation to order a take-out comes in, and take-outs can get pretty pricey. Before you know it, all of those take-outs really put a dent in your budget. So consider these money saving tips for eating out. Also, don’t forget there are many restaurants where kids eat free. If you don’t want to cook, then buy frozen meals instead. It’s much cheaper than ordering out. As we mentioned in our recent post on saving money at Trader Joe’s, it offers really inexpensive frozen meals. Babies tend to be quite harsh on their toys, which often ends with them breaking! Plus, it’s likely that your child will spill stuff on them too. So, if you want to make sure that your budget isn’t affected too much by supplying your baby’s toy box, then follow these tips. Babies are messy and they’re often rough with their toys. So, buying them used, rather than new makes so much sense. Not only will you save money, but you won’t have to worry when your child spills something on a toy or breaks it. Check out eBay, local yard shares, and Goodwill. You’ll be amazed at the great stuff you can find. Plus, your baby will never know the difference! An excellent place to find quality toys at really reasonable prices is at Amazon Warehouse. It provides amazing discounts on used, returned, open-box and refurbished products. On there, you can find tons of baby and toddler toys that are gently used but vastly discounted. And, you’ll be happy to know that all products on Amazon Warehouse undergo stringent testing to check their operational and physical condition. Little ones can go through toys quite quickly. That rattle that they used to get so much enjoyment from in the first three months becomes boring and they want something new. That’s why trading or borrowing toys from family or friends who have children that are slightly older is such a good idea. If their child has toys they no longer use or that they’ve outgrown, then they’ll probably be happy to lend them to you. The amount of diapers your baby will go through will probably shock you! It’s an everyday expense that just can’t be avoided. Fortunately, there are a few things that you can do to cut the cost. When you shop for diapers, don’t always go for the cheapest brand straight away. While picking the cheapest option might seem like the most budget-savvy option – it can actually be quite the opposite. When you buy the store brand over Pampers or Huggies, you’ll save $0.08 or so per diaper, but if you factor in extra costs that can sometimes come along with cheaper diapers – you’re not really saving in the end. Diapers from well-known brands like Pampers don’t tend to leak – meaning that you don’t have to worry about clothes, bedding or carpeting getting ruined. But, sometimes, the diapers that are super cheap aren’t as robust and they leak easily. So, you have to pay to clean or replace anything that gets soiled. It means that the cheap diapers can end up costing you more in the end than the brand name ones. Of course, just because something is cheaper it doesn’t mean that it is going to be a bad product – many parents rave about Walmart diapers. Do some research. Read some reviews. And make an informed decision. What’s better than cheap diapers? Many diaper brands and companies that sell baby supplies offer diapers for free. You just need to know where to look. You can visit each brands website directly to see if they have any offers on there, or you can contact them directly. While it might seem tempting to stock up on newborn diapers so that you are all prepared when you bring your baby home, financially, it’s not a wise decision. You might find that your baby doesn’t fit into them for long, and you’ll have a ton of unusable diapers left over. So, go easy on the starter diapers. Diapers, clothes, and toys are just some of the things you need to stock up on when you have a baby. But, another big expense is other gear, like the stroller, crib and booster seat. Where possible, and safe of course, always buy second-hand. While there are some items that you’ll always want to buy new, like car seats, there’s some stuff, like baby monitors, for example, that you should consider buying used. So, browse Craigslist or eBay or visit your local second-hand store to find some great deals. Many used items are in great condition, but they will be much cheaper. Used items can easily be cleaned, and then they’re good to go! Just make sure that when you do shop secondhand, you’re safe about it. You can find a list of baby items that you shouldn’t buy used here. It’s also a good idea to check whether a product has ever been recalled or not before you purchase it. As a new parent, you want to ensure that your baby has the best. But, that doesn’t mean that you have to spend a ton of money in order to get a quality product. You shouldn’t feel pressured to buy luxury gear. Often, when you buy stuff from a luxury brand, you are just paying for the name, and cheaper items are just as good. Plus, your baby isn’t going to know the difference between a no-name item and a top-of-line model. So, don’t feel that you have to buy the latest luxury stroller or crib. Look for quality and value, rather than an expensive brand name. Going for gear that does double duty can save you hundreds of dollars! Seek out convertible items, like a crib that transforms into a toddler bed, or a bouncy seat that doubles as a swing, or a Pack ‘n Play that works as a crib at home, but can also be turned into a travel bed. By choosing items that serve multiple purposes, you can significantly reduce what you spend on baby gear. Setting up the baby nursery is an exciting time. But, it’s really easy to go overboard, and if you’re not careful, you can easily blow through your budget. To make sure that you don’t overspend, follow these tips. Many excited expectant couples feel the need to buy every baby-related piece on the market, but, then find that it doesn’t fit into the nursery room comfortably anyway – so they spend way more than they need to! Before you buy anything for the nursery, consider the size of the room. Remember you need room for essential items, like the crib, but you also need room to walk around, and the baby needs space to play. Remember, a good nursery should be safe and comfortable – it doesn’t need to be filled with tons of stuff you probably don’t need anyway. When you’re decorating your baby’s nursery, remember that most baby furniture is temporary. For example, the crib you bought is probably only going to be used during the first 18 months to 3 years. So, don’t feel the need to buy that expensive crib, dresser, and drawer set just because it matches. Sure that tiny dresser or mini bookshelf looks cute now, but when your baby becomes a toddler, it becomes pretty useless. Make sure that you buy stuff that your child can continue to get use out of in the future. Think about the furniture that your child might need in the future. And, remember that pieces can also be repainted when the baby outgrows the nursery. Don’t feel pressured into buying all new stuff for the baby’s nursery. Often, you have furniture elsewhere in the home that could function really well in the baby’s room. Do you have a chair cluttering up the living room that you barely use? Then move it into the baby room and sit on it when tending to or reading to the baby. Or, do you have a bookshelf in the home that you could use to store baby books, clothes and toys? Consider what furniture you already have in your house before you buy anything. It’s a great way to save money. Plus, you can always paint pieces to match the décor of the nursery. If you really don’t have the funds to set up a nursery before the baby arrives, then don’t. It’s better to have money for the essentials, like food, clothing, and diapers. A baby nursery is a not a necessity – all you need is a safe crib or bassinet for the baby to sleep. You could have the baby sleep in the same room as you, as many other parents opt to do with their baby. Or if you’ve got space in another room in the home, like a guest bedroom, then you could place the crib there and the baby could sleep in there. Hold off on making a nursery or a bedroom until you get into the financial swing of being a parent. When you’re trying to save money as a new parent, you need to do everything that you can to save money. So, we’ve gathered the things that you must do to save cash. If you want to save money, then buy less stuff. It’s simple really. There are a ton of baby-related items available nowadays. While some stuff is necessary, most of it is just fluff that you don’t really need. After all, do you really need a dedicated changing table and a separate dresser, or could you just make do with a wipeable changing mat that you can place on another surface? Don’t feel like you need to buy all of the baby products on the market. Consider whether you really need an item before you decide to purchase it. When you’re a new parent, you’ll find yourself buying stuff that you’ve never bought before – like diapers, formula, wipes and baby clothes. And, as you have no experience with this kind of stuff, then you probably don’t know what a good price for each item is. So, the best thing that you can do is make a list of items that you want, whether they’re one-off purchases, like a stroller for example, or stuff that you’re going to buy regularly, like diapers or baby wipes. Then, next to each item, put the price of it at different stores. Check local stores, and take a look at prices online too. Then, you can see which store offers the best deal. And, if you don’t have time to compare prices yourself, then simply use a price comparison tool instead. PriceGrabber.com is a good tool to start with. It’s an app that compares the prices of a certain product for you. When you take the time to compare prices, you save yourself a lot of cash in the long run. It doesn’t take too long, especially with the comparison tools out there today, and you might find that the stroller you planned to buy in Target is half the price on Amazon – or vice versa. You’ll be surprised by how much you can save! When you’re trying to save money, there’s nothing better than getting something for free. There are tons of places that you can get free samples of baby-related items. As mentioned above, the doctor’s office is a great place to get free formula samples. Next time you visit the pediatrician, ask them if they have any samples to offer. You might get free diapers, eczema treatments, or lotions for diaper rash. The worst they can say is no, so it’s always worth taking the time to ask. BabyCenter is a website that offers advice and support on parenting and pregnancy. But, it’s also a great place to find freebies. At BabyCenter, you can find a plethora of free stuff, discounts, coupons and other great deals. Check out the deals on offer here. Another website where you can find a ton of baby-related freebies is The Balance. The list of free stuff on there is always changing, so make sure you check this page frequently to see what’s on offer. If you’re looking for free baby stuff, then freebie websites are the place to go. These sites gather lists of free samples. On these sites, you can find freebies from a plethora of brands. Here are a few that you should definitely check out. Make sure that you check back frequently for new offers. If you’ve never clipped coupons before, then now is the time to start! The local newspaper is still a great resource for coupons, but the Internet is an even better one! Online, you can find tons of coupons for everything from formula to baby toys. When they’re used well, coupons can be an excellent money saving tool. While 5% or 10% off might not seem like a huge saving initially, over time, these small savings add up. And, in the end, you realize that by using coupons, you’ve saved yourself hundreds! There are tons of other ways that you can get coupons online. Check out our list of the best coupon sites and our list of unexpected places to find coupons. The best way to maximize savings when you use coupons is to only use the ones that you actually need. For example, if you see a coupon for 20% off of a $30 infant rocker, and you buy it just to get the discount, even though you don’t actually need one, then you’ve essentially wasted $24. So, only clip the coupons for stuff that you actually need. As a new parent, every bit of cash counts. And when it comes to making every dollar count, nothing beats the value of getting cash back for something you are going to buy anyway. And there are tons of cash back sites that make it easy to earn cash back no matter what store you are shopping at. On these websites, you can get anywhere from 1% to more than 70% cash-back. Another great thing about the websites above is that they also offer coupons, promo codes and a wide range of other great deals. Did you know that many companies, like Pampers, offer exclusive discounts and deals to customers that sign up for their email lists? It’s true. Many companies are pretty generous to parents. So, it’s always worth checking out the sites of brands you like to see if they have an email list you can sign up to. While it’s not wise to buy too much of a certain item to start with, once you know what products you use and what products your baby actually likes, you should definitely buy them in bulk! When you buy a product in bulk, you pay less per unit. So, while it might seem much more expensive upfront to buy 10 packs of baby wipes, rather than one or two packs, in the long run, it works out so much cheaper. Did you know that on Facebook you can find some pretty great baby and toddler items? On the social media platform, you can find garage sale and buy and sell groups, where you can buy cheap baby items. It’s always worth taking a look on there to see if there’s a sale in your local area. Try entering the term “garage sale [your location]” or “buy and sell group [your location]”. In these groups, you can find anything from baby toys to clothes. So, take a look and you’ll never know what you’ll find. As a parent, you’ll find that you buy the same items over and over again each month – or even each week – like diapers, detergent, baby shampoo, ointment, and wipes. A really great way to save money on those things is to buy them using Amazon’s Subscribe and Save program. With this program, you essentially choose an item to subscribe too. Then, Amazon automatically ships this item to you each month. Shipping is free and you get up to 15% off of the product. Recurring expenses can really add up and affect your budget. But, with the Subscribe and Save program, you vastly reduce what you spend over time. Plus, as a new parent, you have a lot going on, so it’s easy to forget to pick up a pack of wipes and find yourself out of them. With Subscribe and Save you don’t have to worry about running out of anything – products are sent to you automatically. Sometimes, when you buy a product has a big impact on how much you spend. After all, how many times have you bought something only to see it on sale the next day? Amazon and many other big retailers frequently change the price of products – sometimes even on an hourly basis! That’s why setting up a price alert on an item, which tells you when the price of it drops is such a good idea. One of the best tools to use if you often shop on Amazon is called CamelCamelCamel. It monitors price fluctuations on Amazon. Using it, you can set up a price drop alert for any product that you plan to buy. The tool then informs you when the price of the product drops. So, you can get the best deal, without having to check the site frequently yourself. It also gives you price history charts for Amazon. So, you can predict the best time to buy the product. As we mentioned above with the baby bottles, sometimes it’s not a good idea to stock up on things for your baby. Often, it’s hard to know what you’ll actually need, and what your baby actually likes until you get to know him or her. Your baby might hate that brand name formula that you bought ten packs of from Costco, or you might find that those newborn diapers you stocked up on before the baby arrived are too small. Then, you’ve wasted your money. That’s why it’s best to pick things up as you need them. If you find that you use a certain product regularly or find that your baby loves a particular item, then you can buy it in bulk later. Buy the minimum to start with and then stock up later. Sometimes, you can budget, get the best deals on stuff, and be really careful with how you spend your money, but if your income isn’t enough, then you’ll still struggle. If you feel like you’re still really stretching your income, even when you follow the money saving tips above, then why not consider doing something on the side to supplement your income? On MoneyPantry, we’ve covered all sorts of ways that people can boost their income – often from the comfort of their own home! Start by checking out our recent post, 57 Sites for Earning Extra Income on the Side. It lists more than 50 websites that you can boost your income – all from the comfort of your own home. 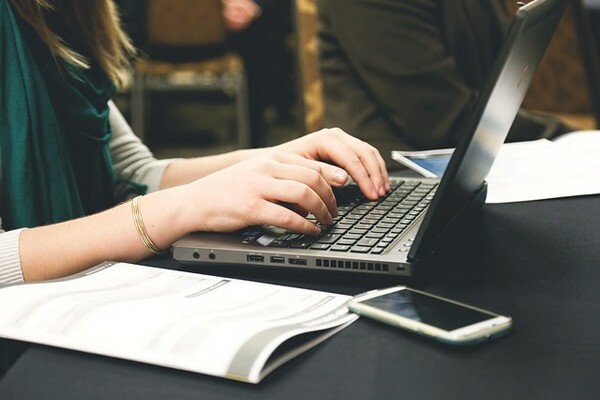 And, if you’re on maternity leave right now, or you plan to be a stay at home mom or dad, then you should definitely check out our post, Amazing Ways to Make Money as a Stay at Home Mom (or Dad), which includes more than 90 ways for stay at home parents to make money. We also have articles on making money picking out clothes for people, driving your car, and much, much more! Just check back with us often for new ideas on how to make money. When you increase your income, you can make your budget a bit more flexible, and reduce some of the financial stress that can come along with being a new parent! Being a new parent is a wonderful experience, but it does come with a lot more financial strain. So, make sure that you follow these simple tips for saving money, and you’ll be in better financial health!